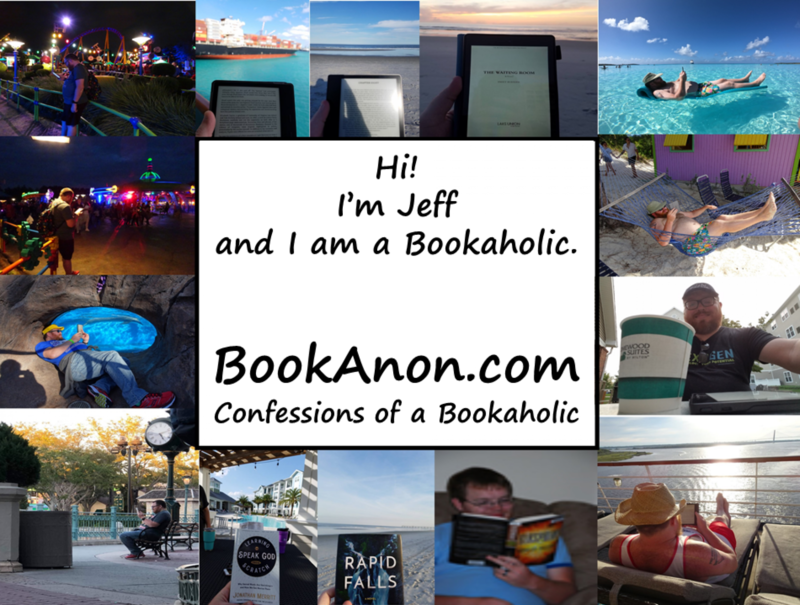 BookAnon.com: Confessions of a Bookaholic – Page 6 – Hi! I'm Jeff. And I'm a BookAHolic. Judgment Comes. This was the third entry into this series, but because of the way it does a soft retcon of the primary character, this *could* serve as an alternate entry point into the series. Not that I recommend that, but it *could* be done. Excellent third chapter of the story, looking forward to what is next. This review of Beyond Judgment by Richard Bard was originally published on October 26, 2018. Excellent Continuation. This book continues the storyline and pacing from the previous book and raises the stakes quite a bit in the process. If you enjoyed the first book, you’ll enjoy this one, but as this is the second book in the series, you really do need to start from the beginning. I wound up dinging this one a star because of the author’s continued miscommunication about guns. The vast majority of which do not have “clips”, they have “magazines”. And there are *few* fully automatic pistols, virtually none of which even military contractors would be allowed to have on the streets of the United States. So while the author continually refers to characters having “automatics”, they really should be “semi-automatics” or even just “pistols” or “sidearms”. All that said, this series is a solid thriller with elements of scifi – if you like either genre, you may well like this series and I absolutely recommend checking it out. This review of The Enemy of My Enemy by Richard Bard was originally published on October 25, 2018. What A Rush. This was a very good book, even if I did have a few quibbles with it as an Autistic. The action is among the craziest I’ve seen in novel form, in all the best ways. And the pacing of the abilities and how they are discovered is slow enough to seem “plausible” and yet quick enough to keep the action going well. Excellent work, looking forward to the rest of the series. This review of Brainrush by Richard Bard was originally published on October 23, 2018. This review of The Greatest Love Story Ever Told by Megan Mullally and Nick Offerman was originally published on October 21, 2018. Interesting Concept, Not Much Substance. I went into this book expecting a great discussion calling the American Church back to Jesus Christ. What I got was a couple of decent points and a lot of sermon promoting the status quo for the American Church. To say I was disappointed would be an understatement. So much promise, so little delivery. If you’re in the American Church and wondering why so many people despise you – you won’t find many answers here. If you’re a former member of the American Church that is begging for someone to call it to repentance – you won’t find that here. If you’ve never been part of the American Church and you’re desperately seeking any acknowledgement at all of your problems with it – you’ll find here that some of them are mentioned… and quickly dismissed and yet again, you are to blame, according to the author. What you *will* find here is more proof-texting (taking Bible verses out of context in service of whatever contrived point the speaker is attempting to make), more victim blaming, more The-Spirit-Of-God-Compels-You level berating, more scare tactic “evangelism”, and more trite Churchisms about how everyone else is the problem. But there are *just* enough good or at least decent points to keep this out of Gold Mine level (tons of detritus for a few scarce flakes), so there is that at least. This review of Jesus Called – He Wants His Church Back by Ray Johnston was originally published on October 20, 2018. Interesting, But Flaky. In this memoir, Kate Mulgrew – known best, depending on age and interest, for 70s era show Ryan’s Hope, 90s era show Star Trek: Voyager, or 2010s era show Orange Is The New Black – describes her life from being literally born with teeth up until around the turn of the Millenium, when she was still filming Voyager. But the biggest sin, and the reason this 2015 memoir feels incomplete, is the abrupt ending. Wherein she sets up a particular meeting that had been years in the making… and then ends with a literal closed door, never revealing anything beyond the moment she stepped into that particular room. This review of Born With Teeth by Kate Mulgrew was originally published on October 20, 2018. Intriguing But Incomplete. The central premise of this book is that “Under God” and “In God We Trust” were created by a cabal of corporate and religious interests opposed to the New Deal in the 1930s, and indeed the roughly 30 year period from the mid 1930s through the mid 1960s is where the bulk of the text concentrates. For example, the 30 year period from 1980 – 2010 is encompassed only in the epilogue, the 2nd shortest of the chapters of this book, and the period before the mid 1930s is barely mentioned at all. And therein lies where the book is incomplete. It should have built the case that pre-New Deal, religious references were scant in American politics. I believe that case can be made, based on my own knowledge of the history, but I’d like to see the efforts of a more trained historian on the matter. Instead, Kruse zeroes in on the New Deal opponents. But within the framework that he creates, he actually does do a solid job of showing how their efforts led to the increased religiosity of the Eisenhower Administration and from there directly to the Culture Wars as we know them now – though Kruse never uses the term “Culture Wars”. Even with my own better than average knowledge of the relevant events, I learned quite a bit here and had at least a few attitudes shifted. Highly recommended reading for anyone actually interested in the subject from any side of the issue. This review of One Nation Under God by Kevin Kruse was originally published on October 14, 2018. Fast and Funny. In this memoir, Graham talks about her life in general and some of her more famous/ long-lasting projects: Gilmore Girls and Parenthood. And she does it in what seems to be her style on the shows – fast and hilarious. The chapters are short, and the book overall is a very quick read. If you’ve ever seen any of her projects at all, this is a very worthy read. And if you haven’t, you’re probably not interested in this book anyway – but if you haven’t seen any of her work and *are* interested, go ahead and pick this up. If nothing else, you will be entertained. This review of Talking As Fast As I Can by Lauren Graham was originally published on October 9, 2018. Kluger does an excellent job with writing the narrative of this distinctively NON-fiction story with the skill of a solid thriller author. While Apollo 11 would eventually overpower 8, and one of 8’s crewmen would become far more famous for Apollo 13, neither of those missions happens without someone being the first to actually get to lunar orbit and make sure their spacecraft can survive the trip. And Kluger does an excellent job of revealing all of the people invovled and putting them in the proper context while showing both the very real perils and how the various people handled those perils. If you’re interested in man leaving the planet at all, this is a must read book. This review of Apollo 8 by Jeffrey Kluger was originally published on October 7, 2018. Mostly History with a dash of future. I am Autistic, and this look at the history of my people was more fascinating and horrifying than even I already knew. In this book, Silberman shows several people from history that were fairly clearly Autistic, progressing from early accounts to newest and from there into the histories of the two men that “co-discovered” Autism in the 20th century. The vast bulk of the book is spent inside the 20th century, with only the last chapter or two in the 21st, but even then it truly is fascinating and horrifying. Absolutely recommended for all, particularly those with Autistics in their lives. This review of NeuroTribes by Steve Silberman was originally published on October 5, 2018.